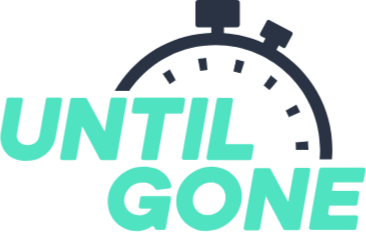 Are all UntilGone.com products new? What's the difference between GSM and CDMA carriers? Will my phone work with my current carrier? We realize it can be difficult to shop online for clothing, so on the majority of our apparel listings we include a sizing chart in the images section of the product listing, or dimensions in the body of the product description section. When measuring, please note the measurements listed are the OUTER dimensions. The most accurate way to measure for clothing sizing is to put on a similar garment and measure over the clothes. This is particularly important when measuring for bulky clothing like hoodies and coats. The majority of the apparel listed on our site is manufactured overseas, so the sizing may be somewhat smaller than US sizes. You will get better results by ordering using your measurements than by the name of the size you usually wear, e.g. if you usually wear a size Medium, you may need a Large. Please take this into account when ordering. What is an UntilGone.com Rewards Member Level?